Our testing sieves are of the highest quality to ensure consistent fit, accurate specifications, and durable brass construction. All ASTM Test Sieves are supplied with a Certificate of Compliance. Our 3" Full Height Sieves have an overall measurement of 1 ¾ inches and depth of 1 ¼", measured from the top surface of the mesh to the top of the sieve. 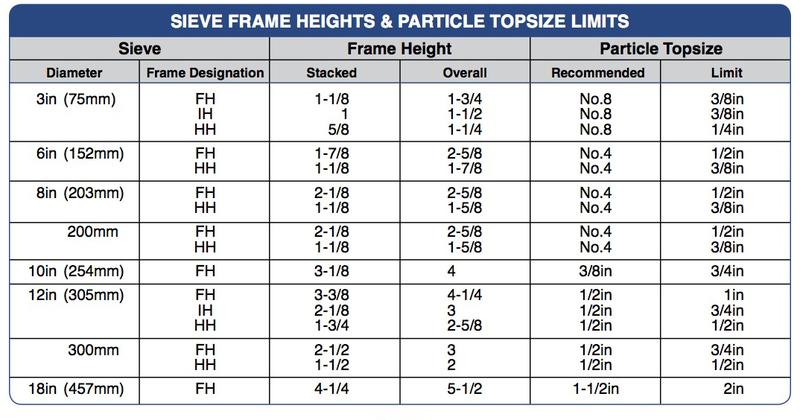 Choose stainless mesh size above.